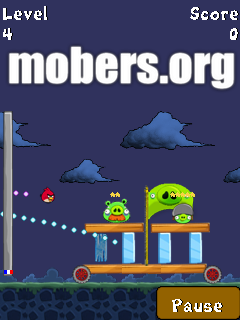 3/1/11 - 4/1/11 — Mobers.ORG — Your Daily Source For Mobile FUN! The new Diamond standard in casual puzzle action is here! 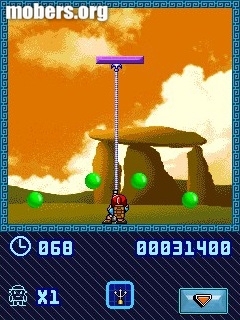 Diamond Twister 2 brings all the gem-swapping, color-matching fun back with 10 unique gameplay mechanics, new power-ups and depth. Journey across 8 exciting jet-set locations and meet intriguing characters along the way. You?ll face new challenges like obscuring mists and obstacles that alter how the diamonds fall. Thankfully, you can use the Time Freeze, Bombs, Twisters and more to help clear the screen in record time! And thanks to the new, easier-to-use touch controls, you?ll be hooked like never before. ALSO CHECK OUT "DIAMOND TWISTER 1"
The explosive franchise built on speed is back with Fast Five and this model comes fully loaded! Play as Brian O'Conner on the opposite side of the law and assemble an elite team of top racers. Get behind the wheel of your dream car to battle opponents in the ultimate high-stakes racing game that follows the movie storyline. Blow across many borders to elude authorities in Rio de Janeiro, Las Vegas, Hong Kong and more! Tune & customize your vehicle with tons of options like decals, rims, boosts and much more! Earn boosts and money as you tear up the streets…but watch out for the cops! ALSO CHECK OUT "ASPHALT SERIES"
You’re an ace star pilot fighting against the militaristic Royalists who usurped your leader and spread fear across the galaxy. Lead the Resistance in a high-intensity space simulation with amazing HD graphics. Venture to fantastic worlds & take on varied missions in an array of ships. Uncover a sordid tale of betrayal, ambition & hope as you mend a torn galaxy. Team up locally or online for co-op multiplayer via Wi-Fi & Bluetooth, or meet other ace pilots through the Game Center to take on the campaign together and compare scores. Challenge a variety of missions that will test your reflexes, instance and wits. Left 2 Die 3D - new 3D shooter for mobile phones! 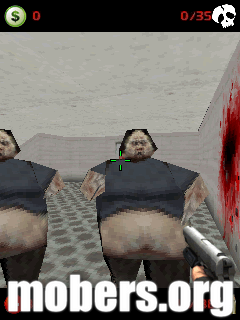 Deadly virus has infected all people, turning them into living corpses. 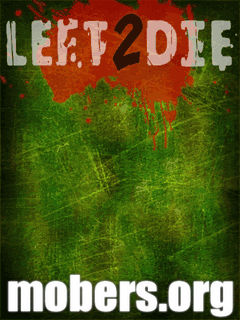 Moving through the levels, you have to kill hundreds of flesh-eating zombies, mutants and bosses! 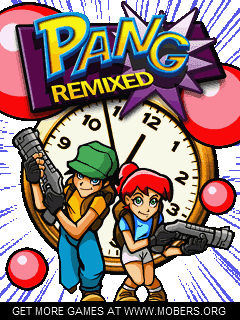 Pang has been around for so many years now that it’s hard to imagine a time when the compulsive arcade game didn’t grace the smoky halls of arcades up and down the country. Now those arcades are all but gone, like other 80s arcade stalwart Pac-Man, Pang now finds solace in the mobile systems. Also like Namco’s familiar mascot, it hasn’t really changed all that much since it debuted over 20 years ago. The aim is still to tour the world as either a boy or girl, firing hooks vertically up so they split balloons into smaller pieces. It’s also still maddeningly hard to pull off perfectly, too. 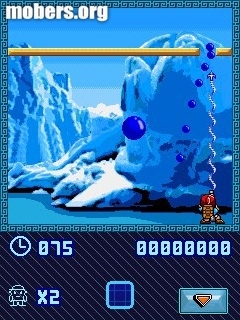 Nevertheless there have been some alterations to the balloon popping formula with this latest entry, most noticeably the addition of new power-ups that can be bought between stages. If you’ve not experienced Pang before, this is the best way of experiencing the classic. Angry Birds looks like a fun version of the classic "small towns". 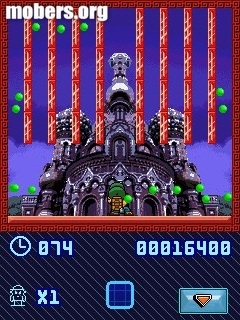 The player will have a slingshot to shoot birds on the intricate fortifications of the enemy, destroying them. 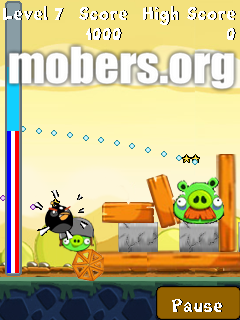 As enemies appear green pig who stole birds' eggs. 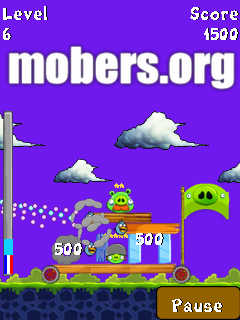 Destroying the castles of pigs, the player earns points. The more points for the passing level - the better. 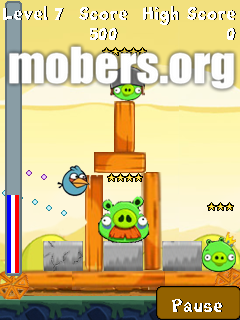 NOTE: This is not an official "Angry Birds" game for Java (J2ME) phones. It is a modification of "Monty Python's : Cow Tossing"
More than 40 maps in 4 different worlds. Evolve in wonderful 3D isometric maps. Use world topology and special areas, like accelerating and bounding grounds to finish levels. Avoid all kinds of dangers, from fixed and moving bumpers, to magnetized ennemies. Use your mind to solve puzzles and find secret places. Manage the hottest strip clubs in town and watch girls strip down to barely anything! Hire dancers, host a Wet T-Shirt contest and unlock upgrades to satisfy customers! This is the birth of human civilization! You are the leader of a small tribe in the dream the spirits tell you the path to victory. Now his fate is only in your hands! String up - challenging assignments, treacherous enemies and insurmountable obstacles are waiting for you ahead! Construct buildings, hunt to feed the army, attack and defend, use all possible resources so that the tribe came off victorious in this prehistoric world. You have to train soldiers, breed leaders, hunt huge beasts and make sacrifices in prehistoric temples - all for the sake of your tribe! Do not forget that your countrymen are people too - they may be tired, hungry, frightened, but they can also play the fool, dance and have fun. Your task is to organize them into one team and assign responsibilities correctly. Your tribe is not the only one in this huge hostile world. Other tribes can submit their rights on your territory and hunting grounds - and you will have to defend them in battle! Apart from that, you may encounter ferocious saber-toothed tigers, bears, and huge dinosaurs - so prepare your tribe for any surprises ... Who knows what the next day or the next night can bring you. Light the fires, set the guards and sharpen stone axes – so that no saber-toothed rabbit could broke through to your supply of food! • A real prehistoric adventure in your phone! • Colorful, stylish, cartoon-like graphics. • Cute and funny live characters that you can’t take your eyes off. • Unique game style and exciting adventures! • Simple and easy-to-use controls. • 18 fascinating missions that won’t let you get bored. • 13 kinds of buildings – starting with a hut made of sticks and fangs up to Tiger Totem and Shaman’s Hut. • Game available in nine languages: Russian, Ukrainian, English, Italian, German, Czech, Polish, French, Spanish.